The Cuyahoga County Water and Soil Conservation District is just one of the government agencies that buy Garden Watersaver products in quantity. 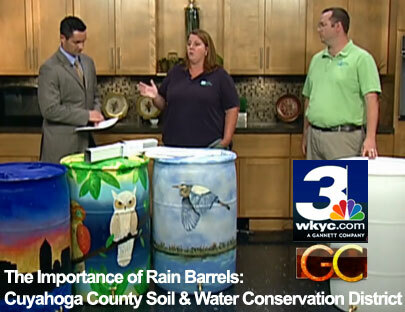 Click to see their appearance on Cleveland’s WKYC-TV3 talking about rain barrels! Order 24-piece case packs of any of our products — at wholesale prices! Simply call Garden Watersaver USA Headquarters toll-free at 1-888-232-6414 or at our Cleveland number 440-840-3415 or EMAIL US. Once we get some basic information about your company or organization, we will create a vendor account for you and provide you with our wholesale price list.